* White balance correction and white balance bracketing features provided. * With RAW+JPEG Large / Fine, the continuous shooting speed will be slower after the third shot. * Based on Canon''s standard 4GB card. * With RAW+JPEG Large / Fine, "busy" will be displayed. * Continuous shooting at approx. 0.8fps (averaged value) is possible. 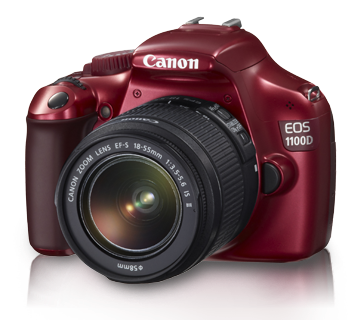 * Based on Canon''s standard 4GB card and Canon''s testing conditions (with ISO 100 and Standard Picture Style). * AC power can be supplied via AC Adapter Kit ACK-E10. Dimensions (W x H x D) Approx. 129.9 x 99.7 x 77.9mm / 5.1 x 3.9 x 3.1in.